Khashoggi was a well-known Saudi Arabian media titan who had close relationships to the kingdom's diplomats and public-relations apparatus, until he fell out with the leadership, left the country and began writing abroad in 2017. 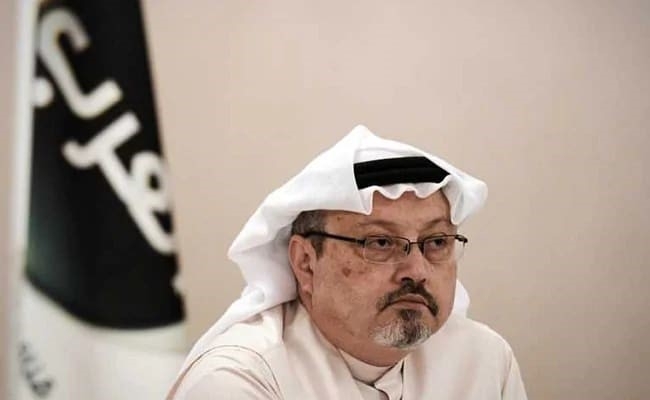 A columnist for The Washington Post with close links to Qatar and Turkey, he was murdered in October 2018 in the Saudi Arabian consulate in Istanbul, allegedly at the direction of the highest levels of the Saudi government. Khashoggi was heralded as a dissident journalist following his murder, but his views on the Middle East were more controversial at home. He argued against Riyadh's turn against the Muslim Brotherhood. In an interview with Al Jazeera in November 2017, he said Saudi Arabia needed to return to its religious roots and have an alliance with political Islam and the Brotherhood. According to the article, he said Riyadh should work more closely with the Palestinians in the struggle against Israel. Khashoggi also showed some genuine interest in the makeup of Israel, tweeting in June 2011 about the role of Iranian Jews in the country. In a tweet that same month, he wrote about the "desperation of the Jews to deny the Protocols." Belief in the antisemitic forgery of the Protocols of the Elders of Zion has remained common in the Middle East in both Arab nationalist and Muslim Brotherhood circles up until the present day. Former Egyptian president Gamal Abdel Nasser and Hamas both pushed conspiracies regarding the text. These conspiracies were also advanced by Malaysian President Mahathir Mohammed in a 2003 speech to the Organization of Islamic Cooperation. As such, Khashoggi would have been familiar with this view. In December 2011 and July 2012, he referenced the marginalization of Jewish women by "religious Jews," and the "superstition of the Jews" in reference to Israel and prayers at the Western Wall, calling Jews "deceivers" or "swindlers." In August 2012, he argued in relation to Israel: "There is no land that God has made for a people," noting that while Jews defeated the Canaanites, the Romans defeated the Jews, and it was Muslims who made the land "for all religions." He was also skeptical of Jewish heritage in the Land of Israel, a theme that returns several times in his tweets. In July 2014, he referred to Jews in Israel as "usurpers," implying they had stolen or occupied the land. In September 2012 – when a controversial anti-Islamic video in the US led to riots in Egypt and Libya, and to the murder of the US ambassador in Benghazi – Khashoggi was asked why it was permitted to have a film critiquing Islam in the US, but not questioning the Holocaust. "The reason," he replied, "is that the Jews passed legislation that criminalized the [questioning] of the Holocaust, while even Catholics failed to criminalize the abuse of Christ." On September 13, 2012, he tweeted, "If this was skeptical of the Holocaust, America would not allow it to be published, because the Jews succeeded in obtaining a law that would prevent it in America and Europe." There is no such law in the US preventing Holocaust denial, but Khashoggi used the false claim to attack Jews. Khashoggi was a passionate supporter of the Arab Spring protests, including the rise of the Muslim Brotherhood in Egypt, and of opposition to Bashar Assad's regime. In a November 2012 tweet, he compared Hamas fighting Israel to the Syrian rebels, comparing Assad's power to Israel and implying that "everything can be ended by the rule of Assad and the rule of the Jews." In each discussion of Israel, Khashoggi does not see Jews in the US or other places as separate individuals; they are simply "the Jews," in his worldview. In September 2013, he tweeted that Jews were being "pumped up" with a proposal to divide al-Aqsa Mosque in Jerusalem, spreading the conspiracy that Israel seeks to destroy the mosque and take over the Temple Mount. "The Jews have no history in Palestine so they invented the Wailing Wall, which is a Mamluk structure, and after 1967 saw the tomb of Joseph in Nablus and they decided to take it," Khashoggi wrote in October 2015. It was one of two tweets arguing that the tomb of Joseph near Nablus was a "Jewish lie," and that it had been built during the era of Turkish rule. Khashoggi's October 2015 tweet, claiming there is no Jewish history in historical Palestine, led to an exchange with another Twitter user named Jawad al-Hashimy. "Jews without history in Palestine! Sir, your knowledge of history is like my knowledge of the Korean language." Khashoggi responded by saying the man should "go and look with them [the Jews], they have hunted long and found nothing." When Hashimy noted that Islam took the name for Jerusalem from Jewish tradition, Khashoggi responded, "What a shame, Muslims have not stolen anything from the Jews, and I think you are a Muslim proud of your identity, don't provoke me anymore." The last tweet about Jews from the insider-turned-critic was in response to a question about Turkish President Recep Tayyip Erdogan meeting with Jews in the US. A photo shows the Turkish president meeting members of Jewish organizations in September 27, 2018. "Your comment, Mr. Jamal?" queries another Twitter user. Khashoggi responded that meeting with Jews is "normal behavior, no comment. The leaders of the Americans Jews are influential and everyone meets with them. I personally delivered a lecture at the American Jewish Committee: what to say when we meet with them." He seems to imply that it is important to consider how to speak to influential American Jews, in contrast to how one might speak elsewhere. Khashoggi's view of Jews was shaped by his environment. He was born in Saudi Arabia in 1958 and grew up in a time when Saudi textbooks contained antisemitism, an issue the Anti-Defamation League and US State Department have noted in the past. Saudi Arabia has sought to reduce antisemitism in recent years, but it would have been readily available to someone like Khashoggi, not only at home but also abroad. Khashoggi was particularly critical of Israel and opposed any softening of Riyadh's stance regarding it, an issue that led him to leave the kingdom and speak out in Qatar and Turkey. He referenced this issue in May 2018 in The Washington Post, asserting that the kingdom was having "discussions about an alliance with Israel to counter Iran." But in his columns his terminology – referring to Israelis as "Jews" or attacking Jews as "usurpers" and swindlers – was not present. Khashoggi was careful online in his discussions, not elaborating on his reference to the Protocols, but his decision to claim that "Jews" had passed legislation in the US preventing Holocaust denial was false. He also bought into the idea that Jews "lie" about the history of Judaism in Jerusalem, a claim that is in line with anti-Israel propaganda that asserts that the Jewish connection to the Western Wall and other historical Jewish sites is fabricated. Whether he altered his views after leaving Saudi Arabia and becoming more involved in writing in the US is unclear. However, it does appear that he reduced his references to "Jews" on social media.